Speaking on the importance of Indian Constitution, Chief Justice of India, P Sathasivam said that, “The people are the ultimate source of authority in our country”. He also opined that, “The constitutional law could not be learnt but only ‘understood’ as it was diverse in nature. In Europe, much of homogeneous people could not have a single constitution. However, In India we managed to have a constitution despite the diversity”. 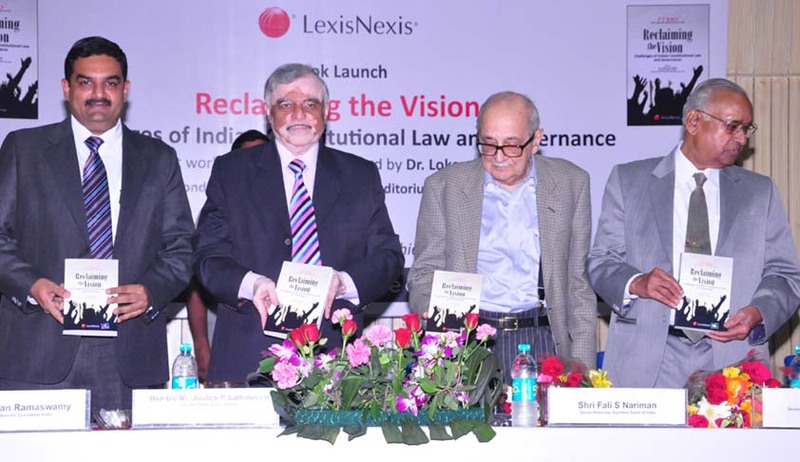 Justice Sathasivam was releasing a book, 'Reclaiming the Vision: Challenges of Indian Constitutional Law and Governance', authored by Senior Advocate P P Rao and published by LexisNexis. Eminent jurists including Fali S Nariman, Soli J Sorabjee, Senior Advocate Krishnan Venugopal and Professor (Dr.) M P Singh, Chairperson, Delhi Judicial Academy were present at the event. According to TOI, Fali S Nariman, spoke on the constitutional rights of the people and lauded the recent Supreme Court judgement, which directed the Election Commission to introduce a button providing for the None of the Above (NOTA) option in electronic voting machines and also on ballot papers in order to enable the voters to exercise their right to reject undeserving candidates in the election. Nariman also added, “The sitting judges do not write books, but they make a difference through their judgements, the most recent change being the inclusion of NOTA. This will now be tested in November when the assembly elections take place”. Speaking at the event, Soli J Sorabjee cautioned that law is a service-oriented profession and not a commercial undertaking. He said, “There must be a realization for every lawyer that in essence we all are rendering a service to society". LexisNexis has launched a new series titled ‘Cross Currents – Law & More’ and Rao’s book is the first publication under this series. Speaking on the release of this new series, Mohan Ramaswamy, Managing Director, LexisNexis said, “With this new series we expect to reach segments beyond law thereby spreading awareness, generating discussions, debates and enabling actions that further our objective of Advancing the Rule of Law”.